Overcast with rain showers at times. High 64F. Winds light and variable. Chance of rain 40%.. Rain likely. Low around 55F. Winds ESE at 5 to 10 mph. Chance of rain 80%. The past four months have been a time of healing for the Trinity football team. While the team was attending a summer camp at Lebanon Valley College in July, several underclassmen were subjected to what investigators have labeled a hazing incident. During a special press conference Monday, the Lebanon County District Attorney's Office released the details of the incident, now that the investigation is officially closed. Two seniors and one sophomore from the football team were charged with open lewdness, a third-degree misdemeanor, in connection with the incident. Football Coach Bill Ragni said Monday that the boys were dismissed from the high school before classes began this fall. Their cases will now be handled by the juvenile probation departments of their respective counties. Ragni said two of the boys are from Cumberland County, while the other lives within the Northern School District in York County. All three are under 18 years old, so authorities did not release their identities. Lebanon County District Attorney David J. Arnold Jr. said that these upperclassman brought in five underclassmen - three sophomores and two freshmen - one at a time to quiz them about football sometime between 10:15 and 11 p.m. When the teammate answered a question correctly, the upperclassmen would congratulate him and tell him to treat himself to a piece of pizza. The pizza box was sitting on the lap of one of the upperclassman, Arnold said. When the underclassman opened up the box, he found his teammate's genitalia instead of the box, Arnold said. At that point, two other teammates would jump out from "discreet" places, such as the closet, naked and dance around the underclassman. Arnold said that in the process the genitalia of those teammates would bump against the underclassman. The long investigation was led by Chief County Detective John Leahy. Arnold said that this type of hazing goes beyond the typical initiation rituals for new teammates, which might include taking a sweatshirt, soaking it in water and then placing it in the freezer. "They're juveniles, but there are acceptable ways to pull pranks on teammates and some things that go over the line and are criminal acts," Arnold said. The players were dismissed from the team and picked up by parents the night of the incident. Ragni said that as soon as the coaches discovered what happened, they brought in the three sophomores and two freshman to discuss the incident. Ragni said the three players who were later charged were brought in next to give their explanation, followed by the team captains. "Within an hour, we decided to call the police," Ragni said. "We were up all night." Ragni said the school held the coaching staff responsible for the incident, based on the idea that if the coaches had been checking on the rooms of the players every 10 to 15 minutes, something like this wouldn't have happened. Noting the ongoing situation at Penn State, Ragni said the coaching staff was not going to attempt to hide the situation. "You can't do that," he said. "I feel sad for the three kids, because basically they were good kids and are good kids. I think it was something unfortunate that happened, but you couldn't turn your head and not do anything." Ragni was suspended for the first game of the season against Lancaster Catholic. The team lost that game but will face off with the Crusaders again this Friday in the second round of the District 3 Class AA playoffs. The coach said other coaches on the team were give letters of reprimand noting that they were on probation for the season. Three other upperclassmen - two seniors and a junior - who were in the room during the hazing were directed to serve an extra 30 hours of community service for their involvement but are still on the football team. Ragni said the decision to keep the boys on the roster was made by the team as a whole. "We have kids that are still on the football team that it happened to," Ragni said. "There's been a lot of healing that we've had to do within the team and out in the community too." The Lebanon County District Attorney held a special press conference this morning to provide updates regarding three cases, including the Trinity High School football team hazing incident from this summer. Three juveniles that attend Trinity High School have been charged with open lewdness in the incident that took place during the team's football camp at Lebanon Valley College in July. District Attorney David J. Arnold, Jr. said that the upperclassman on the team would bring in underclassmen one at a time to quiz them about football. When the teammate would answer correctly, the upperclassmen would congratulate him and tell him to treat himself to a piece of pizza. When the underclassman would open up the box, he found his teammate's genitalia instead of a pizza, Arnold said. At that point, two other teammates would jump out naked from discreet places, such as the closet, and dance around the underclassman, according to Arnold. Arnold said that in the process, the genatalia of those teammates would bump against the underclassman. 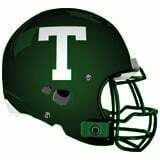 According to statements from Trinity football coach Bill Ragni earlier this year, the three players involved, two seniors and an underclassman, were dismissed from the team as soon as coaches determined what happened. "There are acceptable ways to pull pranks on teammates and some things that go over the line and are criminal acts," Arnold said. Check back to Cumberlink for more on this story.